Prime Eastside Location!! Picture Perfect Free Standing Victorian 2 Family! near Telegraph Hill and a few blocks to East Broadway! This Warm & Wonderful Home is Absolutely Charming! Each Private Entrance Unit offers 2 Bedrooms, a Lovely Formal Livingroom with Sundrenched Bay Windows, a large Eat in Kitchen & Gleaming Hardwood Floors! Windows are Everywhere! Towering 10ft Ceilings throughout! First floor home has Central Air Conditioning too! 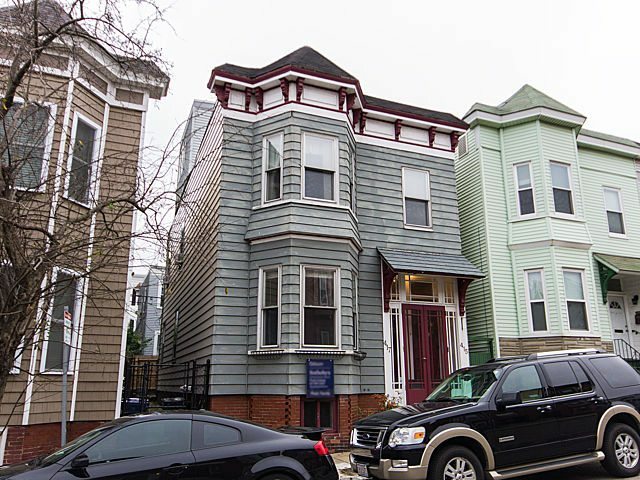 The Top Floor Home has an architectural Spiral Staircase to a cozy Sunroom with direct access out to Big Private Roofdeck with Skyline and Harbor Views! Large Fenced in Courtyard for additional Outside Entertaining! Full Basement has tons of Storage! This Property is Ideal for an Astute Homeowner or a Savvy Investor looking to enhance their Portfolio with a Prime Eastside Income Producer! Enjoy restaurants, easy access Bus lines to Downtown Boston, Beaches & Parks just minutes away! Don’t Miss out on this Amazing Investment Opportunity! Click here for more Photos and Interactive Floor Plan!